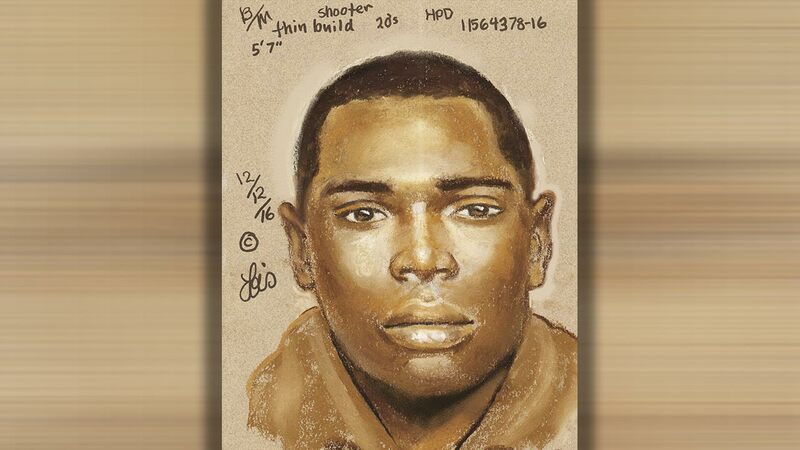 HOUSTON, TX (KTRK) -- Houston police are looking for help in tracking down a killer, after a 20-year-old man was gunned down in a restaurant parking lot over the weekend. Police say Jaime Hernandez and a friend had cashed checks at a business along the Gulf Freeway, and were followed as they drove away. They pulled over in the parking lot of an IHOP restaurant at 6888 Gulf Freeway. The suspect's vehicle pulled in and blocked Hernandez's vehicle. Two men got out and demanded money. Hernandez tried to drive away, but the gunman fired several shots, fatally striking Hernandez. The first suspect is described as a black male, wearing a gray hoodie, in his 20s, about 5 feet 7 inches tall and approximately 130 pounds. A composite sketch of the suspect has been released. Both suspects then got into their vehicle, believed to be a late-model, light blue Dodge Avenger, driven by a third black male suspect and fled the scene. Family members remember a 19-year-old killed during a robbery gone wrong early Saturday. A deadly shooting occurred at an IHOP parking lot Saturday morning.